I recently tried an old favourite hand cream of mine. I hadn’t used the J.R. Watkins Shea Butter Hand Cream in years, but I used to love this stuff! I always loved the lemon scent! Last month, when I put in an order to pick up some natural/organic products, I decided to give this hand cream a try again. I’m not really sure why I stopped buying it; I think I just moved on to other things! Anyway, I wasn’t disappointed after trying it again. So I thought I’d share my thoughts and some information on this hand cream with you. The J.R. Watkins Shea Butter Hand Cream in the scent Lemon Cream is a super moisturizing, thick cream. It sinks in to skin relatively quickly and is 99% natural. It’s paraben-free, phthalate-free, propylene glycol-free, dye-free, and cruelty-free. It smells so good; it smells just like lemon pie! This hand cream comes in a squeeze container and is approximately $9.99 CAD for 95 g of product, depending on where you buy it. J.R. Watkins has been around since 1868 and most of its products contain natural ingredients, which I love! 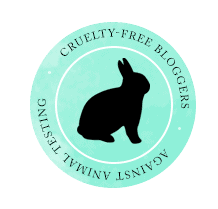 J.R. Watkins is also cruelty-free and Leaping Bunny certified! I really love this hand cream and I highly recommend it! It smells amazing and it does such a good job of moisturizing my skin! I love that it’s 99% natural and is Leaping Bunny certified! Have you tried any products from J.R. Watkins?